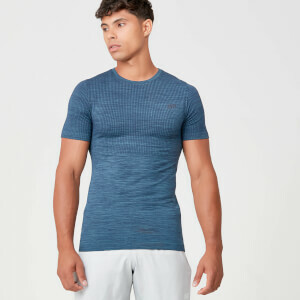 Engineered to define, our Sculpt Seamless T-Shirt is constructed with unique knit technology to blend sweat-wicking with sleek style. 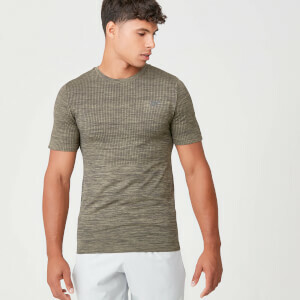 Designed to give a tight, comfortable fit, it comes complete with textured panels, high-stretch, breathable fabric and is finished with space dye – created to combat any workout. 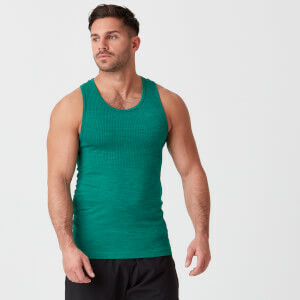 This is a great top, but sizes need consistency. I tried on my friends Medium which fitted perfectly so I ordered one for myself. Unfortunately when mine arrived it was 2” smaller round the chest & therefore way too tight. 2” on a fitted top really makes a difference as it looked like I was wearing a kids shirt. Shame as I would’ve bought a few more if sizes could be relied on. The t shirt is nice, nice design and feel etc. But way too tight. I know its supposed to be tight, but I am a 40 inch chest and medium felt like I was wearing a wet suit. I think even large might still be way too tight. Tight, great fit, quality. I am 41inch chest, 30inch waist, medium fits nicely. I love this top! It has such a comfortable fit and the fabric feels really top quality. It feels like it might be a bit too thick, but I've been running in it several times and it regulates temperature brilliantly.